If you are looking to be more productive with your time, I would encourage you to start by using a time log. Think of it as creating a budget, but with your time. Here’s how a time log helps with time management. Time management has been an on-going struggle for me. But this year, I am determined to turn that around for the best. I’ve tried many methods over the past few years and I feel as though I’m finally getting somewhere. I will be happy to share the strategies that are working best for me. And in the meantime, I want to talk to you about how to use a time log to help with time management. These tips can also be used in addition to my other tips on time management for stay at home moms. Time is a finite resource and can become a stressor to most people who live busy lives. Using a time log you will be able to see more clearly exactly how you spend your time. This is a task that is much like developing a budget. 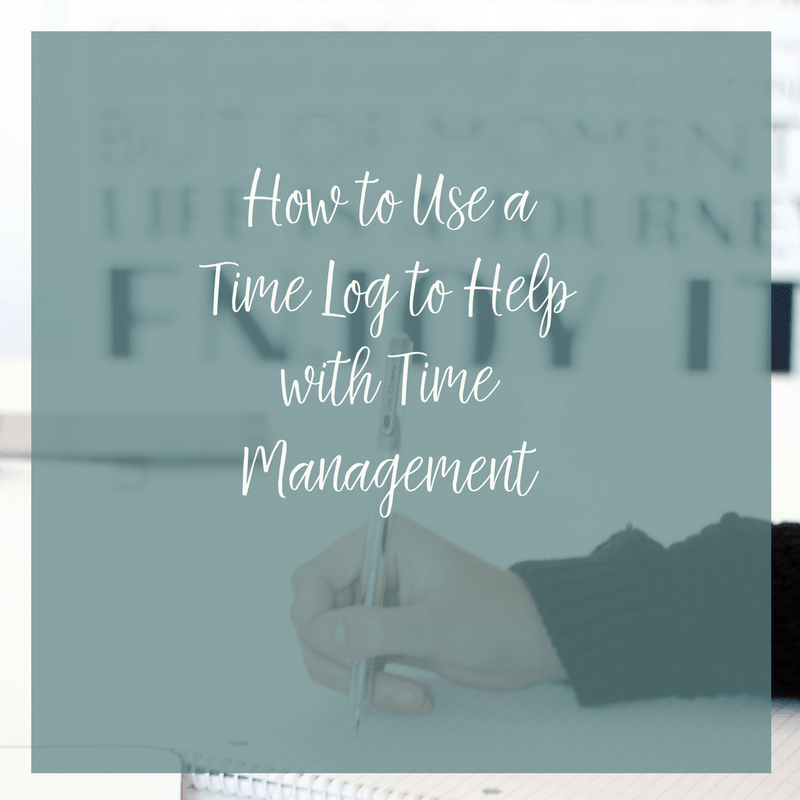 Using a time log you’ll be able to determine how you are currently spending your time so that you can evaluate it and make the appropriate changes to increase your productivity. The particular type of time log or activity log you use is not as important as the assessment you make afterwards and the accuracy of the information you put into it. Most time logs will divide the hours into 15 minute increments. 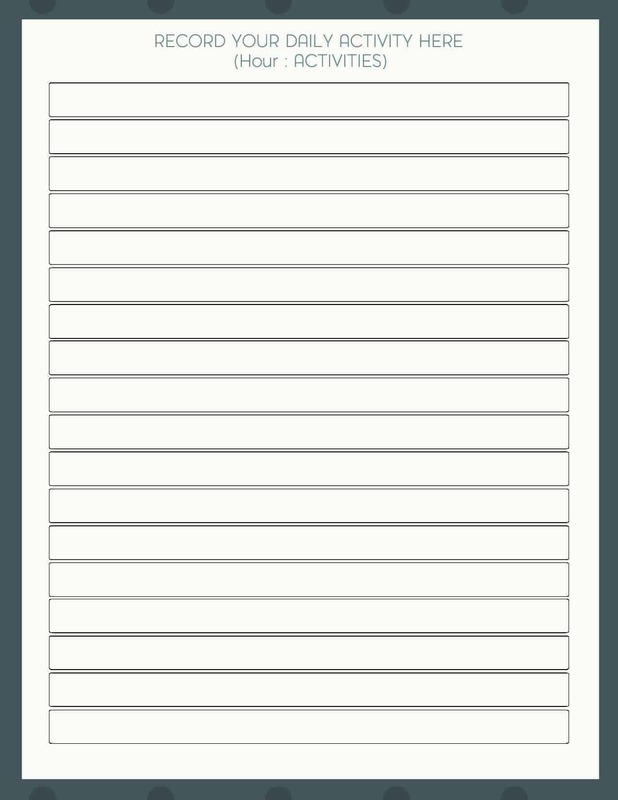 There should be a place to write down the activity that you most often do which will help to save time from re-writing down tasks. 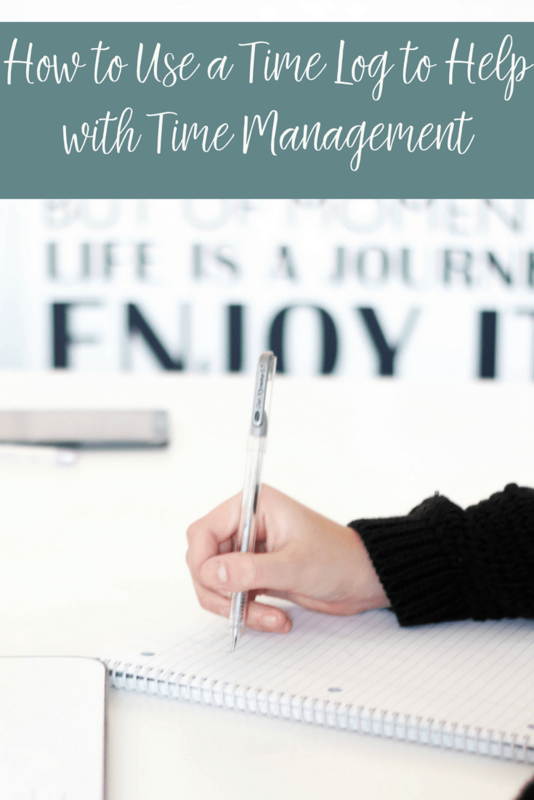 While you are doing the time log it is also important to jot down whether the activity is for enjoyment, productivity and how much energy you feel while doing it. Using both the productivity and energy column will allow you to determine what parts of the day you are most energetic, most productive and which tasks drain more of your energy. You should do a time log only for one week because of the extra time it takes to complete the log. By using something concrete and written you will see exactly how you spend your day, all day every day. It will allow you to answer question about the way in which you use your time and how this does or does not, improve your productivity. and how you felt during the activity. After you have the length of time calculated for each activity it is time to create two different totals for your day. The first total for non-work activities and the second one will add up the amount of time you spend on work activities. The best way to be conscious of an activity and to make changes is to keep it top of mind. And to keep your daily activities at the top of your mind you should use a time log to track your time accurately. One good exercise to use before you start the time log is to write down your anticipated activities and how long they usually take. Now you can compare what really happens against what you believe happens each day. It’s quite an eye opening experience. When you first start using a time log you might find that you lose a couple of hours over a week. This is because keeping the log takes a bit of extra time in your day. But, it will give you a clear picture of how you use your time – which may be a complete underestimation of reality. One of the hard things to face is that you may find your day is taken up with taking care of trivia when you thought you were being completely productive. But, it is not until you are aware of your current situation before you are able to make changes and improve your time management skills. Once you know exactly how long a task will take you can compare it against how long you estimated a task would take and build in your own personal fudge factor. For instance, if you estimate a task will take 2 hours but your time log tells you that it takes 2.5 hours you’ll know to build in an extra 25% each time you estimate a task. 1. Fill in the log as you do the activity. Do NOT rely on your memory at the end of the day. 2. Make comments next to your activities to help you prioritize and make better estimates the next time. 3. Keep the log for at least a week to get an accurate representation of each day of the week. 4. You can keep a log for work only or you can incorporate your home duties to in order to get the most productivity out of the 24 hours we all get each day. Are there common interruptions in your day? ; do you procrastinate between tasks when you should be working? ; ask yourself why you are doing the task – if the reason isn’t clear then look at options for prioritization or delegation. 6. Look closely at tasks that you complete – are you doing the right activities during high energy times that result in good productivity or are you completing tasks during low energy times that should be done during high energy times? After keeping the log for a week and analyzing the results it’s time to make some changes. By becoming aware of time wasting activities you can self-correct. Make plans to change and write down your plans. Some of the common areas that require change are procrastination and difficulty delegating. Do not forget to incorporate down times into your daily schedule to help boost your mental energy and recharge your batteries. All work and no play is a set up for burnout. Get more free resources by signing up here! By keeping track and analyzing your mistakes you’ll be able to become much more productive and develop a clear understanding of your future. I love this!! I use an Erin Condren hourly planner to schedule out my time so that I don’t lose too much down the social media rabbit hole!